Today, temperatures in my neck of the woods hit 90+ degrees Fahrenheit. It doesn’t feel like autumn just yet. It simply feels hot. However, autumn is in the air, according to my garden. Even though many plants are still chugging along quite happily, the New England Asters (Purple Dome) are now in full bloom. When they make an appearance, I know the garden is embarking upon its last hurrah for the season. 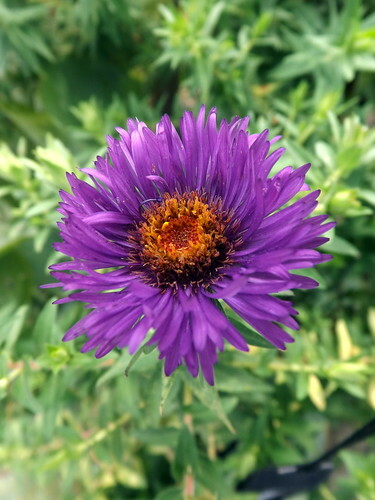 Asters may signal a winding-down of sorts, but they are hardly a retiring type of flower. 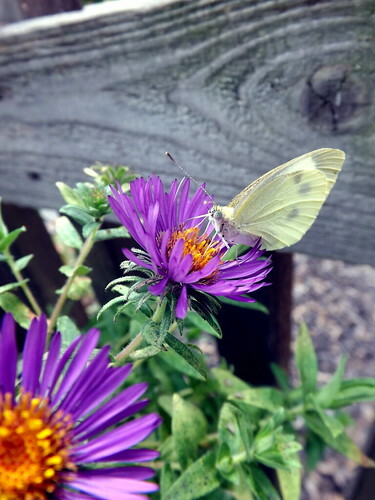 They are bold, bright, and alluring; butterflies and bees simply cannot resist them (see Cabbage White Butterfly below). So if a garden is entering the autumn of its life, there is no better plant to usher it out in style than an aster.